Tadhg Furlong's first try for his country ensured Ireland levelled their three-Test series with the Wallabies in Australia courtesy of a 26-21 victory, setting up a decider in Sydney next week. Kurtley Beale gave Australia the perfect start with a try under the posts inside two minutes, but Ireland came back to lead through an Andrew Conway try and three Johnny Sexton penalties. Australia hit back through a penalty try, but Furlong's superb second-half score after incessant Irish pressure proved the critical moment. Taniela Tupou scored a very late try to bring Australia within five points, but it was not enough to beat Joe Schmidt's men. The victory was Ireland's first on Australian soil since 1979, and having lost last week's opening Test in Brisbane, they will now have their sights set on a series victory at the Allianz Stadium in Sydney next Saturday, live on Sky Sports. Australia hit the front as early as the second minute through Beale when he sliced straight through the middle of the Ireland defence on a switch line after a superb Bernard Foley offload. Just four minutes later, however, the game took a twist as Wallabies wing Marika Koroibete was sin-binned for a tip tackle on Rob Kearney, and in the very next attack, Ireland scored their first try through Conway. A strong maul set gave Conor Murray a good base, and the Ireland nine chose the perfect pass when he looped a wide ball to the Munster wing, who finished strongly in the corner. After 12 minutes, Ireland took the lead when Australia were penalised for collapsing at the scrum and Johnny Sexton knocked over the simple effort. Sexton kicked another simple effort shortly after when Peter O'Mahony won a breakdown penalty before Koroibete returned from his yellow card. After 22 minutes, Sexton kicked his third penalty of the day after Caleb Timu was pinged for an intentional knock-on near his own 10-metre line. 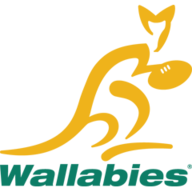 Australia came roaring back after a period of more Irish dominance, when a strong maul resulted in the award of a penalty try by referee Paul Williams, who also sin-binned Cian Healy for collapsing. Timu gave away another penalty soon after for an off-the-ball hit on James Ryan, but the Wallabies No 8 avoided a yellow card and Sexton missed the rather straightforward penalty. Ireland came through the rest of the Healy sin-binning without conceding again, but for all their possession and territory, went in at half-time just two points ahead at 16-14. 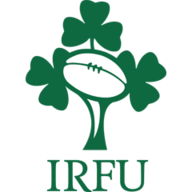 Ireland had a potential Jack McGrath try ruled out for a double movement on penalty advantage, and having chosen to take a scrum five-metres out, Keith Earls then had a try of his own ruled out on TMO review for a knock on in the corner. In the next phase of attack, however, Ireland finally did get their score through Furlong - his first for his country - after picking up a skilful Murray flick and barging to the line strongly. When Sexton kicked the important conversion, Ireland had a nine-point lead with 24 minutes left. Jordi Murphy won a breakdown penalty with 14 minutes remaining - as Ireland continued to negate the impact of David Pocock and Michael Hooper and excelled in that area themselves. Sexton kicked the points for a 12 point lead. McGrath was sin-binned for a piece of cynical play late on within the Ireland 22, and with two minutes left on the clock replacement tighthead Tupou bundled over from close range for a converted try to set-up a grandstand finish. Australia stretched a tired Ireland in the final minute but couldn't break through, as Schmidt's men were left to celebrate - or sigh with relief - at the final whistle.